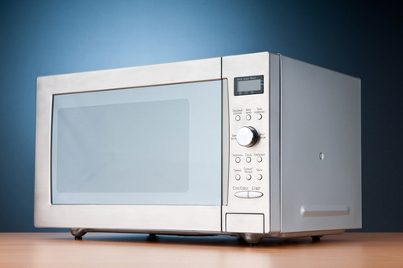 First of all it is important to consider the tasks, that you want a microwave oven to perform. Do you need grilling and browning? Will you bake in a microwave? Will you use dozens of shortkeys and pre-set programs? Too many questions, though we haven’t mention the size and type yet. How not to get on the hook? How can you avoid paying extra money for unnecessary gimmicks? Let’s find out which features are worth of paying more and which of them will turn out to be a simple waste of money. You can also save time and apply to our microwave oven step-by-step service that will help you choose a model fitting your needs and preferences. Everlasting battle between the types is not new. Over-the-Range, Countertop, Drawer, Built-In: which is better? Over-the-Range models are advertised as space-savers and decent range hood analogs. Is this really true? – In some way. This type of appliances do save the counter space. Are they good hood analogs? – No really. Customers’ reviews show that they can’t vent as well, as hoods. Moreover, they are more pricey and rather hard-to-install, so you may also pay for electrician callout. Countertop devices are offered in a wider range and they are well-known as user-friendly and more affordable. Well, to tell the truth, everything depends on the size and functional package. Middle- and large-sized cookers can take about 3 sq. ft. of counter space, what is a real challenge for some kitchens. Drawers have been introduced not so long ago. They are easy-to-reach and convenient-in-use, but they have limited features and height, what may be a problem for modern housewives. In overviews Built-In units are described as space-saving and modern appliances. These facts can’t be denied, but beyond that point they are also expensive and problematic to install, so be ready for additional expenses for electrician callout. How to make dishes fit? The rule is simple: “The larger the family, the larger the microwave should be”. If you live alone or with your couple, then a microwave with 0.5 – 0.8 cu. ft. capacity will suit you well. If you have a family of 5 and more, then the volume should be at least 1.8 cu. ft. This part should be started with the question: are you going to cook the entire meals in a microwave? More power (over 1000 watts) is good for preparing the main courses. Typically, compact models offer 600 – 800 watts, mid-sized are rated at 800 – 1000 watts and large-sized (or full-sized) units deliver 1000 – 1650 watts and more. In general higher wattage means faster cooking. But keep in mind that the difference of about 100 watts is not essential. Convection: pay or not to pay? Convection microwaves use heating element and fan to circulate hot air in the entire cabinet. This, in return, ensures faster, more even cooking and brown, crispy crust. Certainly this type of appliances cooks faster and more evenly. Dishes come out brownish and juicy, but users state that they still can’t provide the same results, as a regular oven. Besides this type of appliances is more expensive, in comparison with standard models. You have probably heard of shortcut keys which are also known as short-keys, pre-programmed settings/menus. Apart from popcorn and defrost, modern models come with such auto settings, as: oatmeal, pasta, stew, grits, soufflé, pizza, baked potatoes, frozen dinners, chicken breast, melt/soften, soup & sauce, etc. They are designed to save time and make cooking extremely easy and fast. Such short-keys eliminate the need to adjust time, power level, etc. manually, but they may add cost to a microwave. Besides it is important to consider which features you really need, in order to avoid paying extra money for unnecessary options. Is there a jet plane in the kitchen? Have you ever heard a jet plane taking off? Or a train passing by your house? And now imagine this noise in your kitchen. Breathtaking, isn’t it? Some microwaves can demonstrate your that. Choosing the right model, pay attention to “sones” rating. The lower the number of sones, the quieter the oven is. Who will do the out? Self-clean or Steam Cleaning sounds attractive, but what about actual practice? Yes, this function makes the cleaning process easier, but it doesn’t dispense you from cleaning completely. The Self-Cleaning process lasts for about 15 minutes and after that you will have to wipe the cavity with cloth. Is this option worth considering? – It is up to you to decide, but the same effect can be achieved by heating up a cup of water with lemon juice in the oven for about 10 minutes. Technological progress moves further and more and more features are appearing. Only a little area of the long way has been passed. And what gimmicks are you ready to overpay for?